HWBC advises a wide range of clients in connection with existing investments, development funding opportunities and corporate real estate strategy in the office, retail and industrial markets. Our experienced professionals operate both domestically and internationally with clients to manage risk and maximise return. At HWBC we understand that relationships are vital and as an independent firm we are free to deal with all parties. Our extensive contact with key players provides direct access for effective transactions. Our considered and objective advice looks to the long-term where appropriate, and garners lasting client relationships. Tony is the current Managing Director of the firm and is one of the founding directors of HWBC. 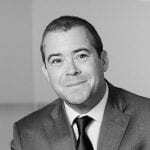 Tony has a wealth of experience in capital markets and operates at a strategic level specialising in all aspects of property investment both domestically and internationally including advice on acquisitions, sales, development, funding and asset management. Tony has also been focused on representing a ‘bridge to capital’ for developers & investors and has excellent links with private and institutional type equity. Prior to founding HWBC, Tony was an equity partner at Palmer McCormack for over 12 years having merged NCB Property (where he previously formed and headed the Property division having left Jones Lang in 1988) with Palmer McCormack in 1992. Originally qualified as a Chartered Surveyor in 1978, Tony has over 35 years’ experience across all areas of the commercial property industry. 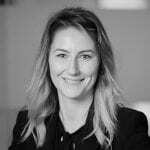 Acquisition advice on various assets across a range of lot sizes on behalf of Irish & off shore investor clients. Examples include the purchase of the regional Liffey Valley Shopping Centre in Dublin at €630m for German fund BVK and at the smaller end of the range the Parnell Street car park investment for Bouwfonds. Appointed asset managers on two shopping centre portfolios from earlier acquisitions as well as other similar mandates. Traditional investment dealing including the alternative sector of multi-family; student residence and the sales of two Dublin hotel investments. Advising on JV development transactions for various clients including the 172,000 sqft Burlington Road (Vertium) €140m office forward funding transaction for Union Invest. Tony is a fellow of both the Royal Institution of Chartered Surveyors and of the Society of Chartered Surveyors in Ireland. A founding director of HWBC, Joe advises clients’ on all aspects of commercial property including acquisition, disposal, development pre-funding, asset management, rent reviews and valuations across the retail, office and industrial sectors. Having studied Property Economics in DIT Bolton Street, Joe has over 28 years’ experience in the commercial property industry, initially with NCB, then Palmer McCormack where he was a full partner before becoming one of HWBC’s founding directors in 2005. Joe acts on behalf of a wide array of clients from institutions and funds to property companies and private individuals, including partnerships & syndicates, banks and “non-property” companies. Iain has 20 years’ real estate experience. 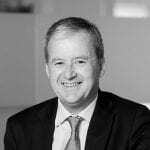 Prior to joining HWBC, Iain held senior Fund Management and Property Company positions in Ireland and the UK. He is a Chartered Surveyor. 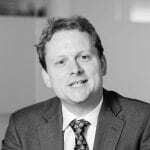 Iain specialises in complex assets and development and has had a senior involvement in many major assets and developments including The Square SC, Tallaght; Blackpool SC, Cork and Burlington Plaza, Dublin along with schemes in London, Manchester and Liverpool in the UK. Iain heads HWBC’s Asset Management team. The team holds discretionary mandates to manage over €300m of Irish assets. Reporting to Central Bank regulated structures such as QIAIFs and ICAVs. Over the last 12 months Iain’s team has also advised on over €650m of successful acquisitions, primarily by overseas institutional investors in the Irish market. Promotion of 7,000 sq m extension to 8,000 sq m regional scheme, including leading professional teams complex negotiations with planners and existing occupiers and pre-letting of planned units. Reporting responsibilities include presentation of investment cases and individual projects for Board and Investment Committee approval along with regular monthly and quarterly reporting. 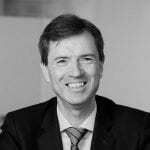 Patrick is part of the investment team which sources commercial investment opportunities for both private and institutional clients in Ireland and throughout Europe. He is primarily responsible for advising clients on all aspects of disposals, acquisitions and general investment advice in the Irish market. Patrick joined Palmer McCormack in 2004 where he remained until the foundation of HWBC in June 2005. Patrick commenced his career in Industrial agency before moving to the Investment Department in January 2006. Patrick has developed a broad range of experience in the industrial sector including disposals, lettings and acquisitions. Since his move to the Investment department he has developed this skill-base further now advising on acquisitions and disposal, pre-funding and asset management of investments across all sectors of the commercial property market. While heavily involved in the sale and acquisition of domestic product he has gained valuable experience in valuations on behalf of institutions and private investors. He has also completed key rent reviews, valuations and restructured leases as part of asset management initiatives. BSc (Hons) in Property Studies from DIT Bolton St.